We have much in common with wolves, coyotes, red foxes, and domestic dogs. These social species - and other animals - have emotional lives, can experience emotions such as joy and grief. That's Marc Bekoff's conclusion after many years of studying these animals. In his book, "The Emotional Lives of Animals," Bekoff writes that while animals may experience emotions that humans can't understand, we can understand many of their feelings. Observing is the key to understanding. Bekoff observes, for example, that wolves "have more varied facial expressions, and that they use these expressions to communicate their emotional states to others. Wolf tails are more expressive, and wolves use more tail positions than do dogs or coyotes to express their emotions." Such body language revealed the grief a pack of wolves felt after losing a low-ranking female. He describes how the grieving animals lost their spirit and playfulness. How they no longer howled as a group, but rather sang alone in a slow mournful cry. How they held their heads and tails low and walked softly and slowly when they came upon the place where a mountain lion had killed their pack mate. If wolves and coyotes experience many of the emotions that humans feel, can they also become mentally impaired? Bekoff asks and answers this intriguing question. "Because there are autistic humans, there likely are nonhuman animals who suffer from what might be called autism." He concludes that since many psychological disorders have been diagnosed in dogs, "there's no reason why this couldn't be true for their wild relatives." He describes a coyote and a wolf that exhibited what might be called bipolar behavior. Bekoff also believes there is "honor among beasts," As he puts it: "Based on my long-term detailed studies of play in social carnivores - including wolves, coyotes, red foxes, and domestic dogs - I believe we can make the stronger claim that some animals might be moral beings." If we believe that animals can experience emotions such as grief, can become mentally impaired, and can be moral beings, then, as Bekoff writes, we must make sure that our actions match our beliefs. He says that when he talks to researchers who conduct invasive research or to people who work on factory farms, he asks them: "Would you do that to your dog?" He says that some people are startled by this question, but that it's an important one to ask. 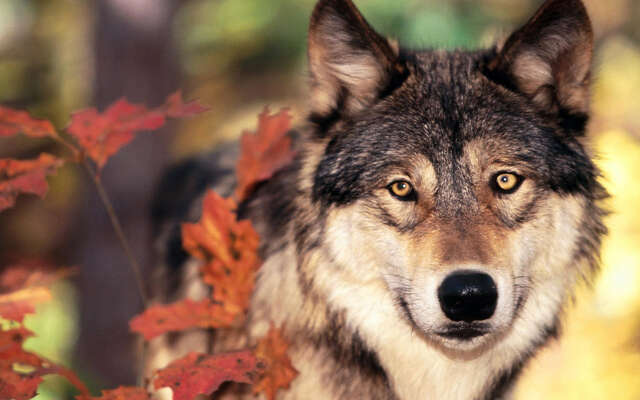 Once we believe that animals other than ourselves - animals such as wolves and coyotes – have emotional lives we must relate to those creatures in a certain way. We must, as Bekoff says, "treat other beings with respect, appreciation, compassion, and love. There's no doubt whatsoever that, when it comes to what we can and cannot do to other animals, it's their emotions that should inform our actions on their behalf, and we can always do more for them." Rick Lamplugh is a wolf advocate and author of the Amazon Bestseller "In the Temple of Wolves: A Winter's Immersion in Wild Yellowstone." Available as eBook or paperback or as a signed copy from the author.